So the weather has turned pretty quickly here in Paris and I think it's safe to say that it is definitely fall outside. 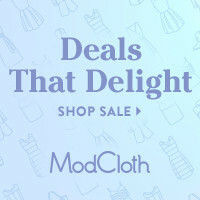 I am so excited because I love sweaters and tights, not to mention there are so many awesome collections coming out! I have a post coming about my adventures in London with the Beth Ditto collection but I'll save that for after. First, here are a few of my fall favourites. 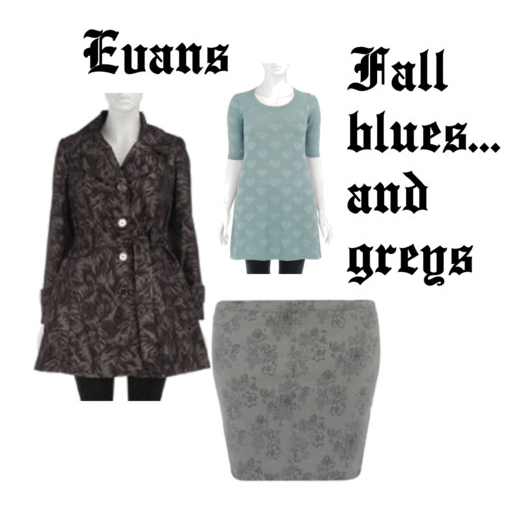 Apart from the Beth Ditto collection which I am a complete nut for, I am also loving all the greys, brown-greys an blues at Evans this fall. I am a sucker for a stretch mini skirt and this one is on my to order when I have money list ... yes my list is enormous in case you are wondering. 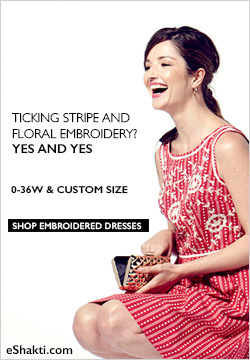 Ohhh Asos, how I could surf your site for hours. When I was in London I searched high and low for a pair of pants like these cords, the trouser style that I could role but found none that really fit the way I wanted, and now I feel silly because I had somehow missed them on the Asos site. I also am excited to see a rush of animal prints again like this mini skirt! 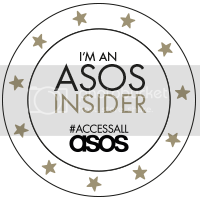 In the top left corner is a gold metal cuff with a velvet lace and just underneath are the wicked Asos jean shorts that I can't wait to try. I was reading up on the Anna Scholz blog and checking out the new things on the site and I came across this zipper dress. I am so pumped to see velvety fabrics back in these kinds of pieces. They look so luxury-rock and are really comfy. Stay tuned for pics of the Beth Ditto collection that I managed to get my hands on while in London. Thanks for reading!! !